In the simplest terms, wetlands are transitional zones between uplands and large bodies of water such as rivers, lakes, or oceans, where water tends to stand for prolonged periods of time. The main types of wetlands are swamps, marshes, and bogs which are best recognized by their dominant plants: trees and shrubs, grasses or sedges, and mosses, respectively. The Petaluma area contains marshes, which are either freshwater or saltwater in character. We also have seasonal ponds, which contain rainwater in the wet season but tend to dry up during the summer. The central pond in Shollenberger Park is a seasonal pond while the side channels (where the cattails live) are a classic freshwater marsh. The main pond is somewhat brackish since it gets recharged with river water once every few years during the river dredging. The Petaluma River is actually a brackish tidal slough which connects to San Francisco Bay and supports along its edges brackish tidal marshes, or tidal wetlands. Wetlands are home to many species of invertebrates, fish, reptiles, amphibians, birds, and mammals that are adapted to live in wetland environments, some preferring the fresh and others the brackish waters. Some species live exclusively in wetlands while other species depend on wetlands for part of their life cycles. The biological productivity of Bay Area wetlands is among the highest of any ecosystem in the world. Since all these wetlands are covered with water much or all of the year, the soil under them is saturated with water, lacking in oxygen, and as such supports a unique group of plants called hydrophytes, which can live happily with their roots submerged in water. Our freshwater marshes abound with cattails and bulrush, while our saltwater marshes contain cordgrass, pickleweed, and salt grass. Lesser-known hydrophytes are also present. Wetlands detain water, which reduces flooding and erosion downstream during major storms. Think of a wetland as a giant sponge lying between our uplands or cities and the major waterways that drain them, or as a sponge lying between our uplands and our cities. Wetlands help to maintain shipping channels by reducing siltation. Because wetlands detain water, there is time for the natural biological processes that occur in wetlands to purify the water. This is how all of mankind’s sewage was purified before people started to build wastewater treatment plants a century ago. In some wetlands the detained water can recharge the groundwater, thus storing water for future needs. Wetlands are among the world’s most productive ecosystems in the mass of plants and animals produced per acre per year! Wetlands provide critical habitat for many plant and animal species. Many species of fish and seafood use wetlands as their nursery. Over half of the world’s migratory birds depend on wetlands to survive during their annual migrations north or south. Hundreds of species depend on wetlands for their existence. 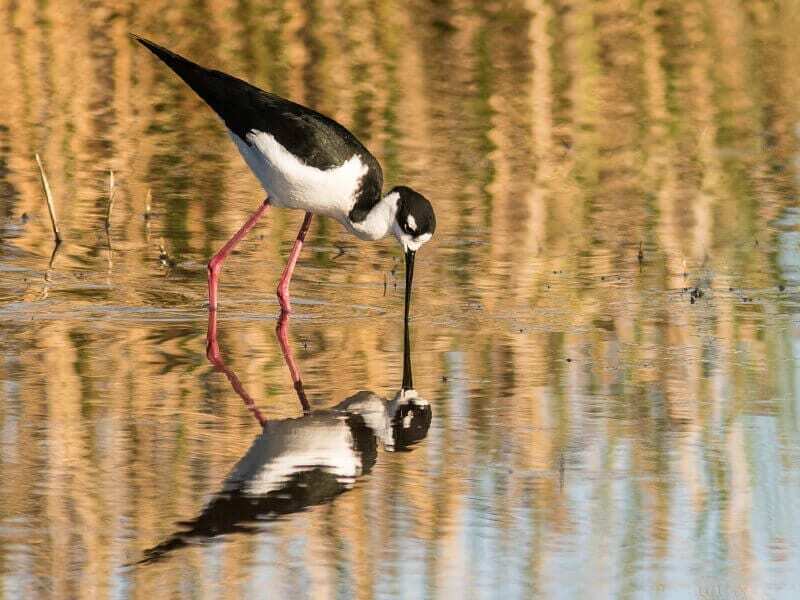 Of the nearly 400 species of birds found in California, nearly 75% are migratory and depend upon marshes and ponds for shelter and food during migration. In addition, Petaluma’s wetlands provide habitat for endangered and threatened species such as the Clapper Rail, Salt Marsh Harvest Mouse, Black Rail, and Western Pond Turtle. Wetlands provide humans with many marketable crops, including seafood, fish, cranberries, wild rice, timber, etc. Wetlands provide for human recreational activities, including hunting, fishing, birdwatching, boating, swimming, camping, and nature studies. Marshes contribute to the stability of global levels of nitrogen, sulfur, carbon dioxide, and methane. Wetlands are critical to our well-being as a modern urban species, and we need to understand, preserve, and maintain our remaining wetlands. The Alman Marsh is 80 acres of pasture/marsh that sits between Shollenberger Park on the south and the Petaluma Marina on the north. It also abuts the river as does Shollenberger Park and the Ellis Creek Water Recycling Facility and associated wetlands to the south of Shollenberger. The city bought this land in the 1980s, breached the 80-90 years-old river levee in a couple of places to allow marshland to rebuild and opened the land as a special part of Shollenberger Park in 2000 – 2002. Alman Marsh is now a mix of brackish tidal wetlands, fed daily by the river, and degraded pasture uplands containing seasonal freshwater wetlands. Alman Marsh is a special, biologically sensitive place as it is home to several threatened and endangered species. Dogs must be on-leash and kept on the trail at all times. This marsh is best entered from the Marina parking lot. The new Petaluma sewage treatment plant, named the Ellis creek Water Recycling Facility (ECWRF), came on line in May 2009 and opened to the public in July 2009. The physical plant occupies part of the 90 up-slope acres of the 270-acre site, along with some seasonal wetlands and 30 acres of polishing wetlands. The polishing wetlands are an arm of the treatment plant which gives a final degree of cleanup to the water by removing more organics plus metals (think of polishing a gemstone). The remaining 180 down-slope acres of the site consist of uplands and over 100 acres of brackish tidal wetlands which are connected to the Petaluma River at high tides. Some upland acreage is set aside for leased production of hay crops which will also provide cover and food for wildlife. Ellis Creek flows through the site. The ECWRF is designed to support Petaluma’s needs for at least 50 years with a capacity to handle eight-million gallons of sewage per day and provide recycled water as either secondary-treated for agriculture, or tertiary-treated for golf courses and parks. The Petaluma recycled water program will expand over the coming years and help Petaluma conserve incoming potable water. The site was designed to be very environmentally responsible with a LEED – Silver compliance, but was not LEED certified due to the high costs of the certification process. Total construction costs were $125 M.
The site is open to the public dawn to dusk, except for the areas where the mechanical processing of the sewage is located and the brackish tidal wetland, which is closed to the public between 15 January and 31 August to protect the nesting, endangered California Clapper Rails. The tidal marsh is easily observed from the Shollenberger Park loop trail to the north. There are over three miles of trails at Ellis Creek, including a connector trail to Shollenberger Park which may flood in winter. Much of the area is considered to be a wildlife sanctuary, as requested by the grantors of funds ($4.1 M) used to purchase the site – the California Coastal Conservancy and the Sonoma County Agricultural and Open Space Commission. Several endangered species live here. Birding/nature hotspots along the three-mile trail system include the polishing wetlands (year-round) and the seasonal wetlands (winter/spring) located between the bathroom and the polishing wetlands. Birding may be done year-round in the trees, lining the edges of the property, and also along the Tidal Marsh Trail from 1 September to 14 January; at other times that trail may be closed for Clapper Rail nesting. Docents of the Petaluma Wetlands Alliance offer free public tours at 9:00 AM on the fourth Saturday of the month, unless it is raining. Polishing wetlands are designed and built by process-engineers to filter wastewater, after it has already passed through primary and secondary purification processes, to lower suspended solids and organics. Polishing wetlands are usually designed to be the terminal component of a wastewater plant and contain wetlands plants, such as tules, over one-quarter-to-one-half of the wetlands’ surface area. These plants further remove organics, metals, fertilizer chemicals, and other pollutants from the water, making the output water up to 70% purer than the secondary treated. In modern wastewater treatment plants, there are usually three-to-five such polishing wetlands linked together in a serial manner, each wetland 10–30 acres in size, depending on the size of the main treatment plant. The ponds are designed to be two-to-five-feet deep and usually move the water slowly from pond-to-pond by gravity. Water exiting these ponds can be used on parks, golf courses, and farm fields, greatly reducing the need to use potable water for these tasks. These ponds and their accompanying vegetation form perfect habitats for marsh animals and frequently cannot be distinguished from natural marshes within two-to-three years of establishment. They usually become meccas for birders and naturalists. ECWRF is entered from the east “end” of Cypress Drive. A 60-car lot is located just inside the gate as well as a public bathroom, and someday an informational kiosk may be added. The usage rules are the same as for Shollenberger Park. There is also a 0.3 mile trail from the southeast corner of Shollenberger Park which connects to the Ellis Creek trail system. Take the Highway 116 (Lakeville Highway) turnoff in Petaluma and go east for about one mile. Turn right onto South McDowell Boulevard, go 0.3 miles, and take a right at the CityPark sign (this sign is very small and looks like a road identification sign). Turn right onto Lakeville Highway, about 1.5 miles after passing Sears Point on Highway 37, and go about 9 miles. Turn left onto Cader Lane. When Cader Lane ends at South McDowell Boulevard, look across the street and slightly to your left for the entrance to the park. The city of Petaluma purchased this 165-acre ranch along the Petaluma River about 1970 for the purpose of using it as a dredge-spoils site, i.e., a place to dump river mud and its associated river water during periodic dredging of the river. Without dredging the river would rapidly silt-in and no longer be navigable. A levee was built to contain about 80 acres of space for the dredge spoils (mud + water) from dredging and a decant channel was constructed to allow controlled removal of excess water from the pond and channel it to Adobe Creek on the north side of the site. Adobe Creek runs into the river. The decant channel quickly morphed itself biologically into a freshwater marsh while continuing to function as a decant channel. The site operated as a dredge-spoils site, closed to the public for over twenty years thru several dredging cycles. Most of Shollenberger’s water comes from annual rainfall. In 1995-96 the site was declared a city park, named Shollenberger Park after a retired city director of Parks & Recreation. The levee was upgraded, a parking lot and bathroom built, and the new park opened to the public in 1996. It has become increasingly popular since its opening in 1996. Now, several hundred people visit it daily: walking the family dog, (which must be on a leash at all times), jogging, or just enjoying nature—especially the many species of birds and other wildlife that can be seen here. The park features a two-mile circular trail and a one-mile cutoff trail across an iron bridge spanning Adobe Creek and running through Alman Marsh to the Petaluma Marina. The one-mile trail from the Petaluma Marina to Shollenberger was completed in 2003.